In early September of 1967, after the Arab defeat in the Six Day War, the Arab League released their Khartoum Resolution which could be boiled down to its central concept, the Three No’s; No peace with Israel, No recognition of Israel, No negotiations with Israel. 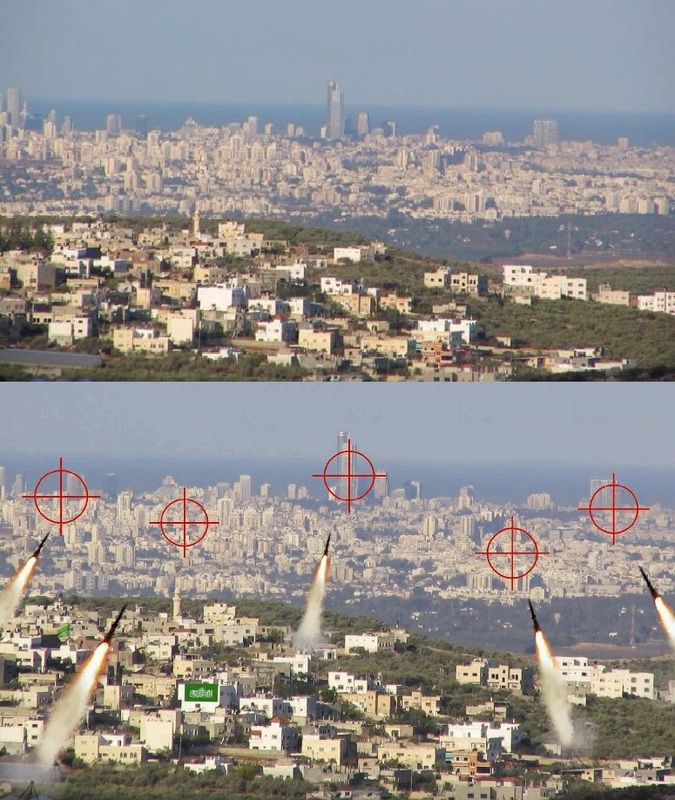 This was after Egyptian, Syrian, Jordanian and other Arab news reports had claimed their offensive against Israel was a huge success and they would have taken Tel Aviv if only the world had not forced them to pull back. The reality was something entirely different as Israel had defeated the Arab armies on every front. Against the Egyptians, the Israelis had liberated Gaza, which Egypt had illegally held since the 1948-9 Arab War to eliminate Israel as well as taking control of the entirety of the Sinai Peninsula. Against the Jordanians, the Israelis liberated eastern Jerusalem including the Old City and Temple Mount along with the areas of Judea and Samaria, which Jordan had held illegally and moved thousands of Jordanians into the region to Arabize it and they called it the West Bank as that sounded far less Jewish than Judea and Samaria. 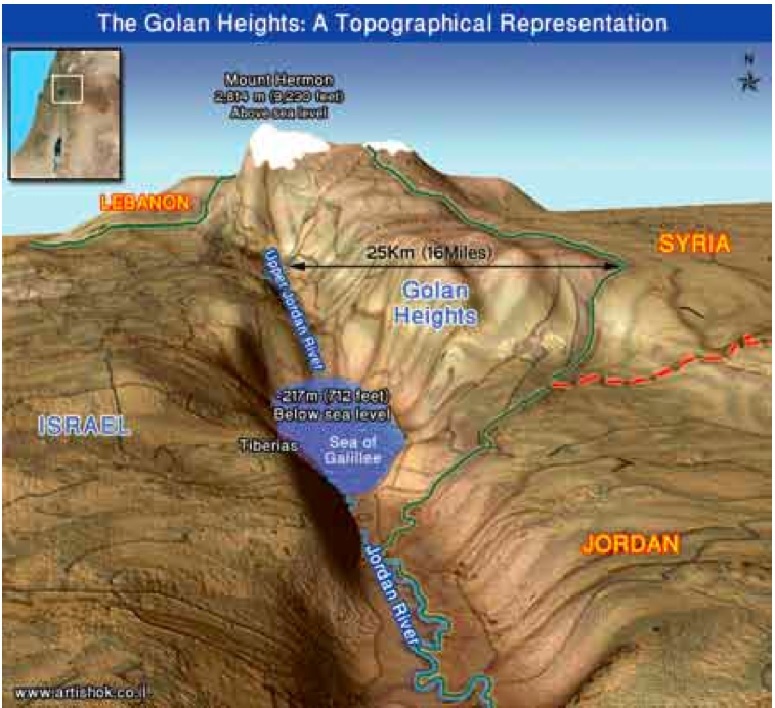 Against Syria, Israel took control of the Golan Heights bringing an end to the constant harassment using sniper fire, artillery and rockets fired into the Israeli towns, kibbutzim and farm lands which the Golan Heights overlooked. 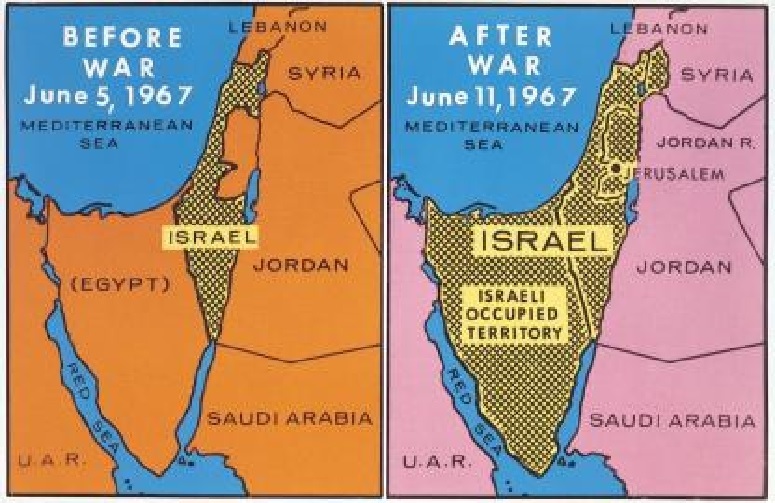 Once more, in October of 1973 the Arab nations of Egypt and Syria attempted once again to destroy the Jewish State and after initial gains were routed once again with only the world demands preventing Israel from taking Damascus, Cairo and Alexandria. By the end of the Yom Kippur War, the borders returned to the armistice lines established after the Six Day War, (see map below). These were the results of the first three wars the Arab world waged against Israel. Israel, in the 1948-9 was often called the winner simply because she was not destroyed. The world likes to refer to this as the Israeli War of Independence. The reality was that when Israel announced their independence, which was recognized by most of the world on May 15, 1948 (Israel announced their independence as of sunset of May 14, 1948 as Israeli day begins at sunset of the evening before and not at midnight. This war was predicted so succinctly by Azzam Pasha, Secretary-General of the Arab League at that time who stated, “It will be a war of annihilation. It will be a momentous massacre in history that will be talked about like the massacres of the Mongols or the Crusades.” It turns out that he was slightly overly-optimistic about their success. Israel was not supposed to have been capable of withstanding an assault by six Arab Armies bolstered by numerous militias. Still, Israel lost Gaza to Egypt and the greater parts of Judea and Samaria to the Jordanians. 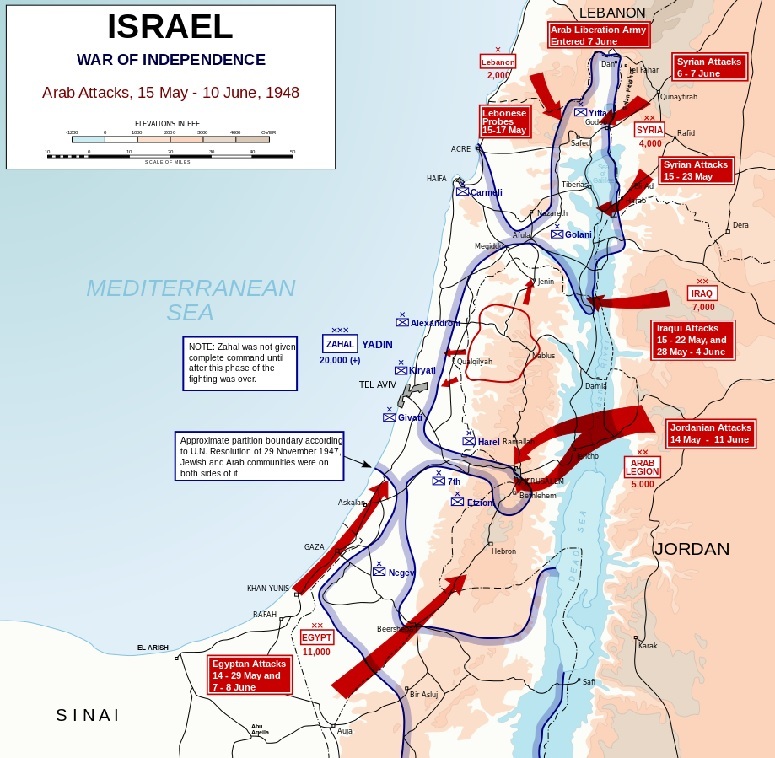 It actually took a daring assault in the final hours for Israel to have been enabled to retain Western regions of Jerusalem and a roadway connecting the area to the main body of the remainder of Israel. During all of these wars, there was absolutely no nation called Palestine and previous to this, the term Palestinian was most often used to describe the Jews. The Arabs were referred to as Arabs or as Jordanian, Egyptian, Syrian, Iraqi, Saudi or whatever Arab nations their names indicated. It was before this war that the Mufti of Jerusalem announced that all Arabs should leave the regions where the Jews were so the invading Arab armies could simply slaughter everyone they would come across. There were over half a million Arabs who responded and fled to behind the Arab armies. After their failure to destroy Israel and kill every Jew, the Arabs immediately placed these Arabs, and any others who had fled to their side during the fighting, into camps and have held them there along with their progeny demanding that they be repatriated into Israel using this as a different means of destroying the Jewish State. These are the Palestinian refugees which there is so much arguing over their having been dispossessed. We discussed this in greater depth in our article “Israel Never Placed a Single Arab in a Refugee Camp.” These Arabs are the unfortunate victims of a society which refuses to admit the right of the Jews to their own nation in their ancestral homelands. The reason the Arabs provide is simple, once lands have been ruled by Islam, they must never be permitted to fall or return to any other rule. With Israel, this becomes a double problem for them as they regard Jews to be inferior and incapable of self-rule and as a people, if they ever recognize Jews as actual people, requiring the kind hand of Islamic rule. That kind hand of Islamic rule deported over eight-hundred-thousand Jews from their lands between 1950 and around 1960. The vast majority of these Jews had no place to go as Europe and the remainder of the Western World refused to allow them to immigrate into their countries just as the world had closed their doors to the Jews during World War II leaving them at the mercies of the Shoah. Where does everyone think these Jews went? Well, listening to the youth on Western College campuses, they claim that Israel was made up of only Jews from Europe and they will refuse to believe the truth, that half of the Israeli population came from the Middle East, North Africa and other places around the world completely away from the Western World. When anti-Semites claim that the Jews can simply return to their nations of origin, well, two things, first is Israel is our nation of origin and second, half came from countries who would murder them as soon as they attempted to return as they are parts of the Islamic Arab world. Why is it that when people challenge the right of the nation of Israel to exist, it is referred to as anti-Semitism. That is actually more easily explained than accepted. The reality is that if the only nation one claims has no right for self determination is the only Jewish nation and no other nation is decried the right to exist, then you are making your accusation based on a single point, that Israel is the home of the Jewish People. When one claims that if a Jew supports Israel, then they are guilty of dual-loyalties and one does not make the same claim against Japanese, Germans, Australians, Russians, Chinese and the rest of the world, then you are making your denial of equal rights about the Jews. There are a number of means for testing if the claim you are going to make about Israel is anti-Semitic or true criticism, simply replace Israel and Israeli with any other groups or minority. Change Israel to gay or lesbian or Hispanic and if it then sounds sexist or racist, then your attack on Israel or Israelis is probably more anti-Semitic than true criticism. Then there are the claims which are simply ridiculous if one were to go so far as to honestly think what their saying through. One obvious accusation is that the Israelis use the IDF to murder Palestinians whenever they have an opportunity. If this statement were true, does anybody honestly believe there would still be a conflict and Palestinians left to protest and carry out terror strikes? Another was the claim that Israel was to be held responsible for the Honor Killings in Gaza and the Palestinian Authority regions which Israel allows the Arab relative to full autonomy and Israel does not enforce laws or even enter the regions under semi-autonomous Arab rule. 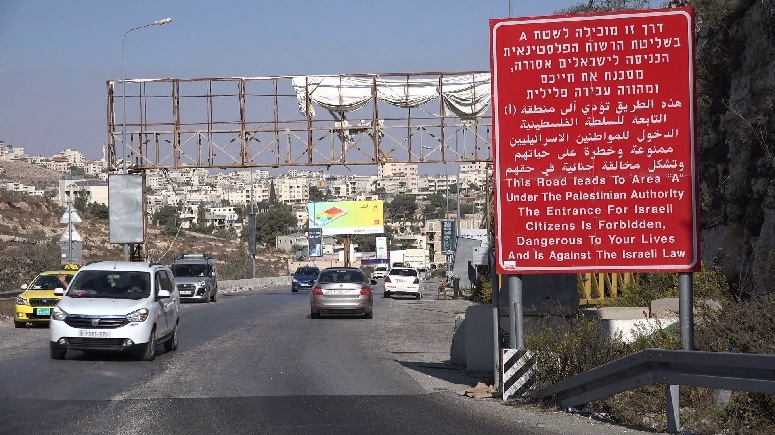 The picture below shows a sign placed at the entrance to the Palestinian Arab semiautonomous region in Judea and Samaria and it is quite strict and accurate in the warnings. There are no similar signs for the Arabs entering Israel though they are often required to pass through a checkpoint, something quite ordinary when entering a foreign nation as the Palestinian Arabs are not Israeli citizens. The continuing rise of anti-Semitism around the globe will never lead to a resolution of the Arab Israeli Conflict. The first thing one need understand is that Israel has accepted any number of solutions which the Arabs have rejected. 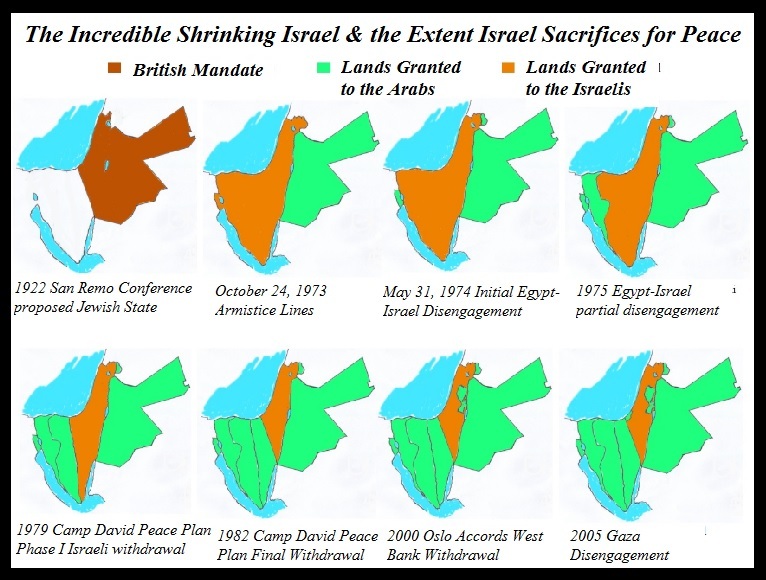 Israel accepted the original plan by the United Nations General Assembly, against the promises of Article 80 of the UN Charter, to divide the lands west of the Jordan River evenly which the Arab League rejected opting for the 1948-9 war to annihilate Israel and her Jews. Israel has accepted a series of offers all of which were turned down by the Arabs and immediately followed with an Intifada or increased terrorist bombings. The problem goes back to the Khartoum Resolution and the fact that the Arabs will only accept a solution where the Jews do not rule themselves, Israel is erased, and they get to decide what the eventual result will be for the Israeli Jews and other non-Islamic minorities. As for what would be done with the Jews, we need look no further than to what Azzam Pasha, Secretary-General of the Arab League predicted would be the result when the Arabs defeated the Jews in 1948, something which blessedly did not happen as the Israelis, though losing land, remained viable though precariously close to indefensible. 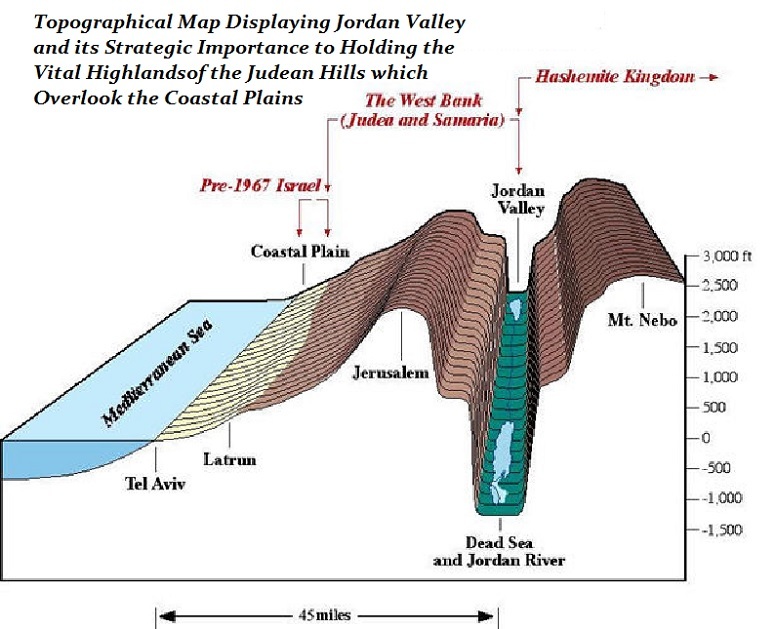 Further, the reason the world insists that Israel recognize an Arab state cut from the heart of her lands is because all the lands west of the Jordan River belong to Israel under international law and unless Israel releases claim to the lands, there is no other means of taking away these lands. The Arabs know the laws as they signed onto these agreements after World War I and the defeat of Germany, Austrian-Hungarian Empire and the Ottoman Empire by the allied powers. 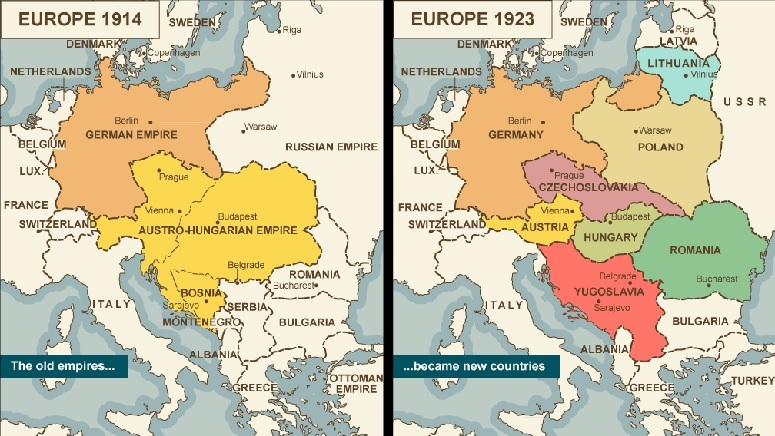 The claim that only the Arab lands had new boundaries is another lie as Germany lost lands to form Poland, Austrian Hungarian Empire was torn into numerous smaller nations, and the maps of Eastern Europe looked very different after the peace was reached (see map below). Many of the claims against Israel depend on the modern lack of knowledge of history, especially history which goes back before six-weeks ago, or so it seems with many of those who protest Israel and their lack of knowledge of the history, the Mandate System, World War I and the resultant changes made in the world. Many of today’s youth could not tell you within ten years when World War II ended, let alone World War I. Between the lack of historical knowledge and the heavy propaganda the Arab world, financed with petro-dollars, wages against Israel, it is no wonder why Israel is on the losing end world opinion. When one throws in anti-Semitism and the predilection to finding fault with the Jews and automatically siding with those who oppose the Jews and you have a near perfect storm. The one catch is that the Jews have outlasted every empire which has attempted to destroy us over the last four-thousand years. The Arabs claim that they will outwait the Jews because they are a desert people and have patience. The Jews are one of the first desert people and we waited longer than Islam had been in existence to return to our ancestral homelands and we are not leaving, ever. The Jews are probably the only peoples on the planet who can claim to having patience equal if not longer than that of the Chinese, Indians or Japanese or any other group known for longevity. Then there are those who claim where is our deed to these lands, and the answer is it is in the Torah, the Five Books of Moses, and our claim predates the Arab people emerging from the Arabian Peninsula, and that says something there. The Jews had established their homeland of Israel while the Arabs were still idolaters living in the Arabian Peninsula. In closing, all we wish to add is that Israel has returned and Israel will remain and will not fall again, ever. Or, to put it succinctly, Am Yisroel Chai!